I buckled my new shoes and checked the mirror. A respectable grey pencil skirt grazed my knees, set off nicely by the happy poppy-red of my cardigan. Titling my head, I fasted the small gold hoops in my ears, then fumbled the clasp of the thin gold chain as I attempted to hook it under the wave of thick, loose curls blanketing my neck. Tiny beads of sweat dotted my nose, and I tried hard to keep my hands from trembling. I was determined. Coming up behind me, Jon gently lifted my hair and fastened the necklace with steady hands, and kissed the top of my head. Today was the first Sunday in our new ward, and my trembling hands betrayed the put-together exterior. In the eight months since we were married, we had continued to attend church each Sunday in the ward where he had lived for a decade. We had imagined, somewhat naively it turns out, that people would rise above petty gossip and manufactured prejudice and allow their better natures to shine- or at the very least, withhold judgement until their own experience gave them something on which to judge. We were wrong. To be fair, it wasn’t everyone— it wasn’t even the majority of folks— who took it upon themselves to treat me like Hester Prynne. The last eight months had been a real-life object lesson in the old idiom “A few bad apples spoil the whole barrel.” I don’t go to church for friends, or for a social life. I didn’t grow up in the Mormon church, and I didn’t even join as a young adult- I was mature, near 30, and already a wife and mother when I was baptized. I have a rich social network and deep, abiding friendships that transcend distance and ward boundaries. I go to church because I have aligned my life and made promises that I will. I go to church to renew my covenants, to think about Jesus, to teach my kids, to serve others, and to find ways to be a better person. I go to church because going is an act of faith. I go to church because some Sundays, that act of faith is all I have to offer. I knew attending my husband’s old ward was going to be rough. His divorce had been incredibly hostile and protracted, taking literally years— and the threat of a trial— for it to finally be finished. He did everything he could to avoid making a bad situation worse. One of his conscious decisions was refusing to speak ill of or slander anyone. He never shared the stressful and awful details of what was actually happening. Wards being as they sometimes are and human nature being as it all too-often is, people gossiped anyway. I walked into a ward where, as I was told by leaders, “the well has been poisoned.” The problem was, it wasn’t just me walking into a terrible situation- it was us walking in with my three children, and on alternating Sundays, with our combined five children. One of the problems with salting the earth behind you is that it might end up being your own children who cannot be fed. Our clergy was kind and supportive. We were asked to please give them a chance, and we did. There were some very kind people who reached out to us, people who invited us over, who included the kids in activities, and who were friendly and thoughtful. But one can only sustain so many tiny cuts before the cumulative damage becomes too much to bear. That moment came down to my children. When a person allows misinformation obtained through gossip and their disdain gleaned therein to color how they treat innocent children, the gloves come off. The last straw happened when an adult disliked Bean’s behavior and literally picked him up and squeezed him. I was a few feet away around the corner, but aware of Bean’s activity; I was utterly disregarded in this person’s decision to physically discipline my child. Bean ran crying from the person and hid under the sofa in the foyer. I heard what happened from an adult who had witnessed the incident. Once was bad enough. It happened twice. We requested our records be transferred that day. Jon holds my hand tightly as we walk into the new ward. I hope my nerves don’t show. We are both hoping here we won’t feel as though we must wear our Recommends around our necks just to prove we are worth human kindness. All five children are with us this first day, and we are immediately greeted by the bishop and his counselors, who take the time to speak to each of us and each of our children before the service begins. After the service, the youth leaders immediately introduce themselves and offer to show all the children to their classes. They are so kind and friendly- all five children, including Bean, happily head off with their peers. Jon is still holding tightly to my hand. As we stand near the back of the chapel, people warmly welcome us to the ward, they shake our hands, and smile. I had forgotten what being fellowshipped felt like- and I am suddenly aware of how parched and battered my faith had become, as I feel the simple water of basic kindness filling my spirit. Jeffrey texts me from his Sunday school class “Mom, there are three other gingers! I like it here. I already have a friend.” That’s a win. Bean stayed in his class the entire time, and didn’t even use his ear-protection. The scout and young women’s advisors both speak to us, and welcome our kids to their programs. Jon and I look at each other and exhale. There is a knock at the door after church. We are in various stages of changing out of our Sunday clothes, and children are scattered all over the house. It’s the bishop, stopping by to check on us. He spends time talking with each of the kids again, saving Bean for last. Taking his phone from his pocket, he proceeds to talk video games and minecraft with Bean, talking and keeping him engaged. Bean finally bounds off to get some toast, and I feel the water that was filling my limbs earlier suddenly well into my eyes. I didn’t know how tired I was, how heavy the burden had been, until it was suddenly set down. I don’t go to church for friends, but it also was suddenly apparent, neither can I go it alone. No matter how solid or well my husband holds my hand, fellowshipping is a necessary part of Christian life, and those waters Christ promised us truly are life. And we do, in fact, find it that life in each other. I’m so grateful to be back. If you find yourself in a situation where you feel justified in treating someone poorly, or feel God needs help in dispensing judgement or sorrow, I invite you to step back and consider yourself. It’s unlikely you have all— or even a big enough part— of the story to make that call. If you’ve only heard one side, you only possess a fraction of the truth. Consider the words not spoken— they may, in fact, be truer than all the gossip. There is enough pain in life without adding to anyone’s burden. 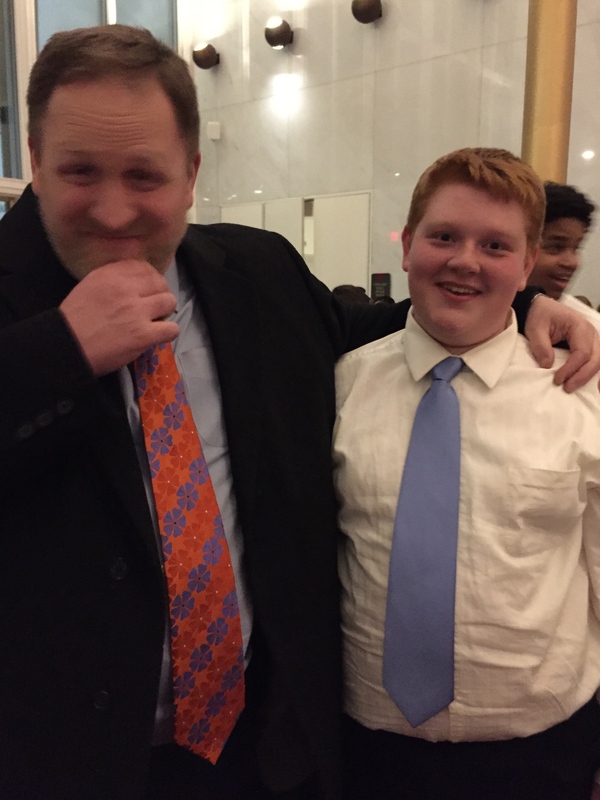 Monday night, Jeffrey, the ginger man-child in whom we are greatly pleased, played his baritone tuba with his middle middle school band for the China-America Youth Music Performance at the Kennedy Center in Washington DC. That’s a mouthful. And it was pretty freaking amazing. 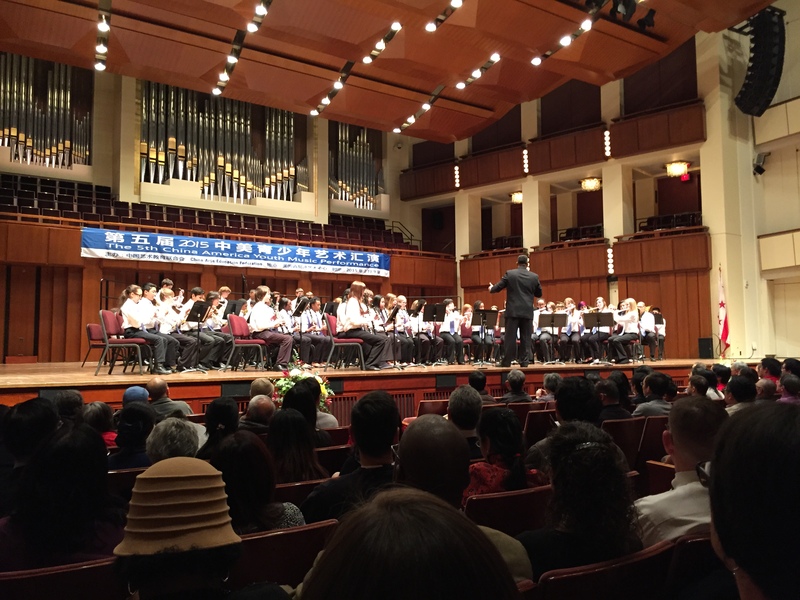 Jeffrey’s entire middle school music program was selected to take part in the cultural exchange sponsored by the China Arts Education Federation. 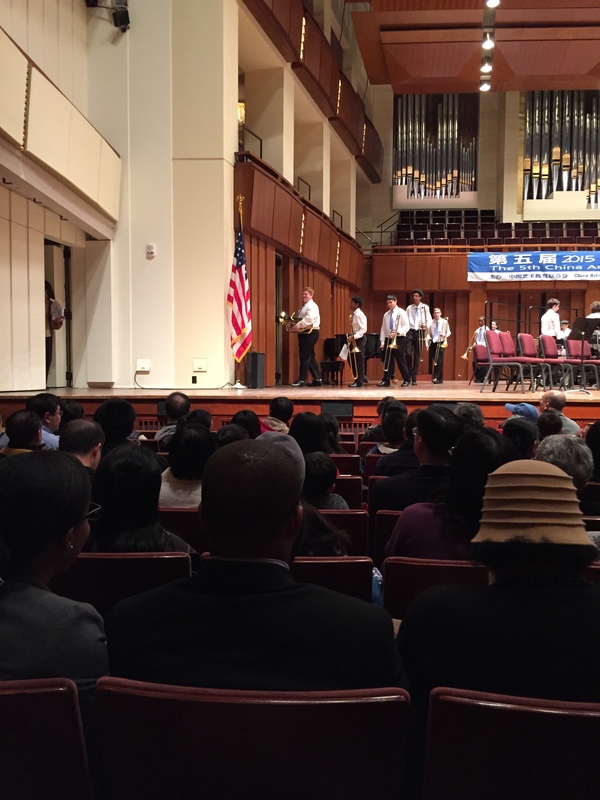 Children from China come Washington DC to take part in sharing of the arts. There was music, dance, vocal performances, theater- both from Chinese children and American children, all packed in one exuberant and exciting night. The whole building is amazing. I’m not sure how, but we managed to get fantastic seats- only about eight rows back from the stage, on the left. The Concert Hall is enormous, and has hosted people you’ve heard of and just about every head of state and president since it was built. 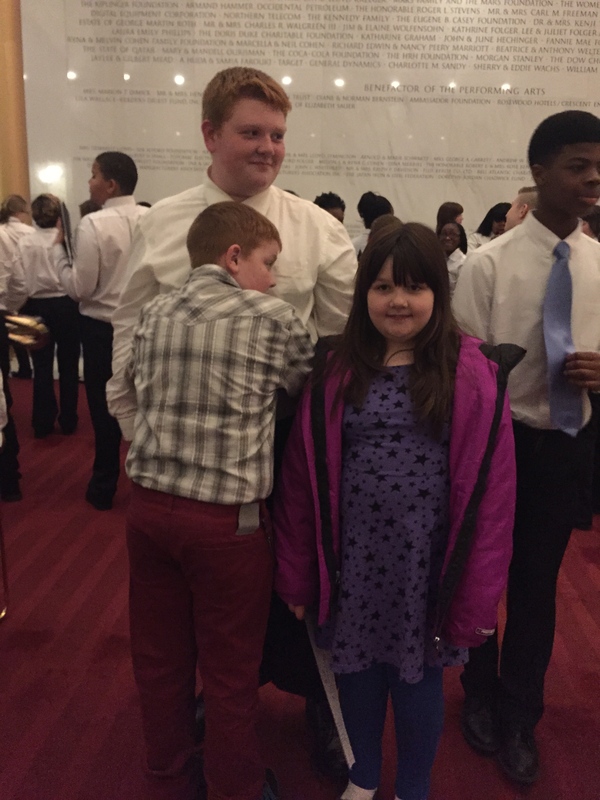 The kids rode busses into DC in the morning, and the parents (and siblings) trailed later in the afternoon, as they got ready to perform. I pulled Bean and Abby out of school early, and we swung by Jon’s office before we headed across the river. 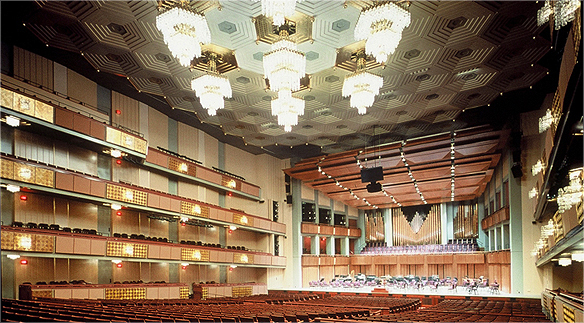 The Kennedy Center is right on the Potomac River, just to the northwest of the National Mall and the Lincoln Memorial. 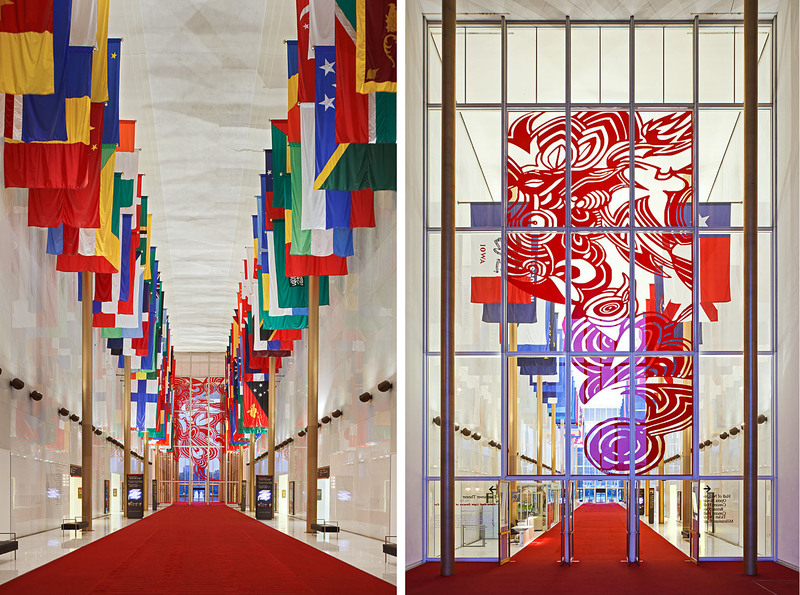 When you walk in, you can either enter through the Hall of States, or the Hall of Nations. Abby and Bean both tried to identify as many flags as possible, before a nice docent gave Abby a list of all the flags. It truly is an enormous place- and the mid-century design is appreciably intact. It’s just so over the top and wonderful. While we waited for Jon to park the car and for Karen to join us, we manage to get our tickets from Will-Call and find Jeffrey. Bean was jumping out of his skin by this point, and barreled into the group of musicians to give Jeffrey a Bean-hug. Keeping Bean calm in public situation like this is always a challenge, so we spent time outside looking at the river, waiting as long as possible before taking our seats. The performances were great- all the way through. The kids, all of them, showed a level of discipline and love for the arts that was visible. I’ll put a YouTube video Jon took of one of the two songs Jeffrey played. It was kind of cool he got to go first, because his nerves were shot and they all got to enjoy the rest of the production from the balconies, which had been reserved for the kids. 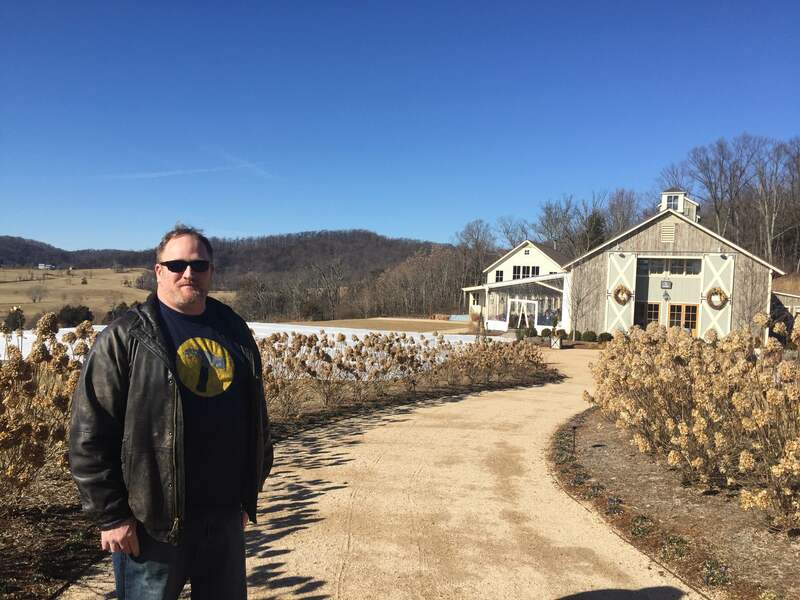 Last weekend, in an effort to broaden our horizons while down at Monticello, Jon and I decided we would try and find charming and independent places to eat. It’s harder than you think- late last year, we also tried this, and we let far off into the bushes by Yelp, and then got into a big fight with Yelp because Yelp doesn’t “feature” negative reviews, which means you can get let to a totally craptastic restaurant where the maitre’d accosts you about timeshares. But that’s another story. So yeah, we don’t Yelp anymore. You can if you want, but beware of maitre’d’s with aggressive agendas and burried negative reviews. We resorted to friends and the New York Times food page. You’d really think you should just be able to stroll around downtown, window shop a bit, and then meander into somewhere to nosh. You’d think. Well, we did. We were wrong. We tried to find a few places that had been recommended, but after closed streets, traffic nightmares, construction, no parking, and places only open between 1:00 and 4:30 every other weekday… we gave up. We just wanted some breakfast. Waffle house isn’t as bad as you might imagine. After wandering around Monticello, we were hoping for a nice late lunch. The NYT gave a lovely review to a place out in the country- the atmosphere got great marks, the food was described in lyrical praise, we weren’t interested in their wine-tasting bar, but we managed to find it on our GPS. Bingo. Let’s go. Well, it was certainly charming. The scenery was nice- lovely rolling Virginia hills in the blue ridge valleys. Even in the late winter, the fields were pretty and the winery was beautiful. I should have known something was off when, heading towards the barn doors, every woman I saw had on The Uniform. (It may vary slightly based on where you live, but here in Virginia, it’s knee-high riding boots (riding isn’t necessary, nor is even knowing what a horse is) slim jeans or riding-pants tucked into the boots, a large bag, a white long-sleeved t-shirt, and a puffy, dark-colored belted parka with a fur-lined hood.) Once you notice it, it’s hilarious how the Uniform is everywhere. This place was lousy with the Uniform. Jon and I giggled, headed inside. I’m not making fun of fashion- I read Tom & Lorenzo like everyone else. It’s just fun watching a trend blow up. Anyway… inside we went. It was like Pinterst puked. Charming and beautiful and calculatedly whimsical, from the rough-hewn rafters to the Mason jars of weedy flowers on the table and the raw linen covered, down-stuffed sofas clustered around low tables made from industrial carts with factory wheels still attached. The open duct-work and galvanized metal, the unfinished thick cuts of tree making up the wine-tasting bar… oh, it was all so pretty. Girls in the Uniform held their glasses of white wine while tall gas-fired heaters made circles of warmth on the colonnade. We asked the chirpy hostess if we could order food without wine-tasting. Sure, she said, and walked us back to our faux-rustic table. The menu was lovely- as you have probably imagined there were chalkboards everywhere (just like at my house), and the water for our table was brought in a jug with a cork stopper with two small hand-blown cups. When you go somewhere like this, it’s implicit that part of what you pay for is the atmosphere. We know this, and had budgeted accordingly. We didn’t go in imagining we were going to have a cheap meal to eat and run. If you were ordering from the entree section, and you read “smoked speckled trout with salt and vinegar chips, horseradish crème fraîche, preserved fennel, micro arugula, caper oil” what would you imagine? Perhaps, given it’s an entree, you might imagine a filet of trout, perhaps with some salted and soured crisp potatoes, and and maybe a side of arugula salad, with the described caper oil and preserved fennel- enough to call it a meal, right? Knowing it cost $17, you’d probably imagine something like I did. It sounded lovely. There were eight potato chips on my plate, with a tiny bit of trout on each chip. That’s a 10″ dinner plate. I think the fennel, which got it’s own byline on the menu, is the little dab to the right of where I had take a bite. Not a bunch of bites- ONE bite. To be fair, it was utterly delicious, and were this an appetizer, or— even in a push, a salad— I would have been delighted. 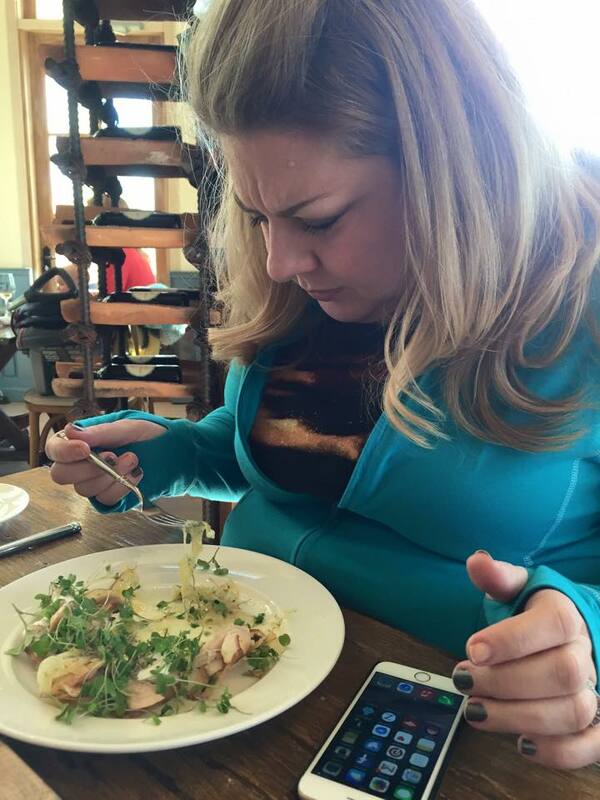 But an entree? Really? Jon enjoyed a “Virginia Country ham sandwich with gruyère, merlot & onion jam, garden herb salad.” It was the same price as my entree, and you can see it in the background. He said it was good. We were having fun, and aside from the fact that the cheese plate came COLD (people, come on! you can’t advertise an artisanal cheese plate and bring it right from the icebox! please read up on cheese plating…) the food, such as it was, was delicious, and the ambiance was charming. But we are decidedly not hip enough for a place like this. I felt like Anthony Bourdain- give me good food, I don’t mind paying for it, but make it worth it. 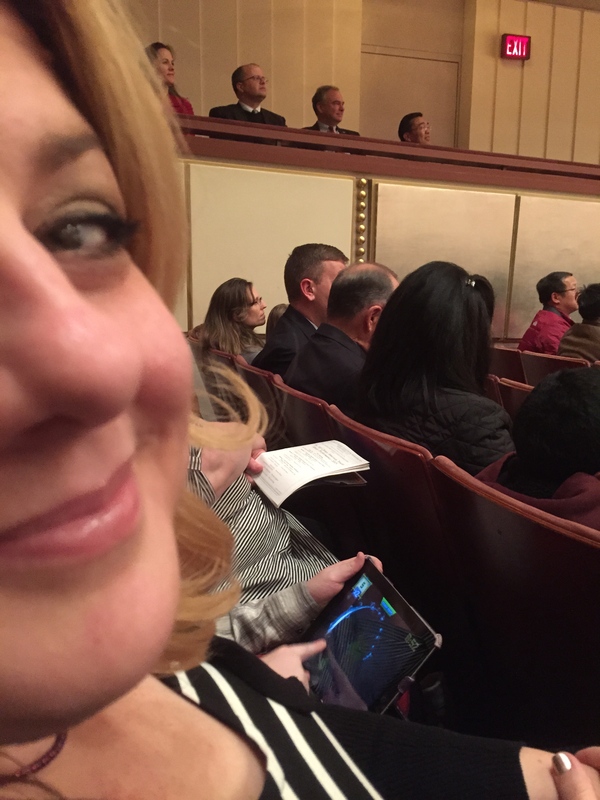 Jon snapped my picture, and posted it to Facebook before I realized what he was doing. It got a little out of hand. I’m not telling where we went- it doesn’t matter. It was fun, and we enjoyed ourselves in spite of ourselves. In the ladies room as we were leaving, their were two young women in the Uniform, happily chatting and holding their glasses of wine. In the bathroom. We went to Outback for dinner.